How can I be so definitive about that? Because I distinguish between the “sales narrative” and “customer service.” Let’s take a look. Generally, your website sales copy includes a description of the problem your reader is facing. It may also include references to common solutions to the problem that don’t really work. 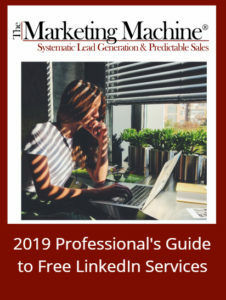 Finally, it includes the reasons why your product or service fits the bill better than any other, followed by a call to action. All that is SALES copy. Visitors to your site expect it and appreciate it when it’s well done. Good sales copy answers a lot of questions, but often . . . Sometimes the questions are tied to your visitors’ previous experiences. Sometimes they concern specific, small details. Sometimes visitors are looking for confirmation – or denial – of a problem they’ve heard about – but don’t find reference to in the sales copy. Sometimes visitors don’t even read the sales copy, but arrive in a hurry to get pre-existing questions answered. Before serious prospects can take the next step toward the buying decision, they need answers. That’s where FAQ come in. 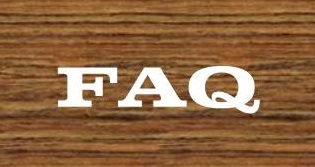 FAQ answer, briefly and succinctly, all the frequently asked questions that people have . . . about your product or service, about you and your team, about your history, about how to pay and how to get their money back, etc. These details are essential – but you can’t fit them into the sales copy, and you certainly can’t anticipate just when they will come up in the visitor’s mind. A well-designed FAQ page answers these questions, reassuring prospects and moving them further along toward the buying decision. FAQ shorten the sales cycle and make life far easier for your sales agents. FAQ can supplement other tools on the site. An authority site, where visitors are expected to spend some time, needs a number of basic tools: a search function, a way to filter blog entries, and footers that cover legal issues. How do your FAQ interact with these tools? Search. Your search box can take people to properly-tagged blog posts or pages. Usually, however, the search function is activated by only one or two words – and your visitor’s choice of search words may not correspond to your tags. Your FAQ, on the other hand, are couched as complete questions that will be easily understood by all. Categories or Favorites. If you have a blog, you may also have sorted certain posts into particular categories. Again, while helpful, the list of blog categories is likely limited and may not include things like “payment options” or “cautions” that your visitor wants to know about.FAQ are the perfect place to make sure frequent “troubleshooting” questions are asked and answered. Don’t worry that you are revealing flaws in your product or your procedures; any readers drawn to that information are likely already familiar with potential glitches or hang-ups.In fact, giving people a heads up about a potential quirk in your product will add to their sense of comfort and trust. FAQ can expand on key concepts or descriptions. Some FAQ questions can be answered via a short video or with an interactive device that would distract from the flow of the main sales message, yet when appearing in the FAQ will educate or engage your reader. People who already know this information can simply skip over it. Finally, your FAQ is a treasure for Search Engine Optimization. Given the format of your FAQ, you can easily introduce important key words into your questions and answers, adding to the findability and/or ranking of the page and your site overall. Make your FAQ easy to use. Organization. If you have an extensive list of FAQ, take the time to group the questions logically and use a subhead to introduce each group. Format. Make it easy for people to scan the groups, the questions and the answers by using different fonts and font weights to identify each separate part. Jump links. You may also consider adding internal links that take readers from the top of the FAQ page directly to the group of questions they’re interested in. Another link in the body of the page that takes them “Back to Top” may also be useful. Conversational tone. Your questions should be questions that people really ask, using the words they actually use. Obviously, if you don’t have an idea of what questions to include, poll your sales or customer service team for the questions they get over and over again. So, three questions to finalize your decision. Do you have sales page/s on your website? Do your sales team members get some of the same questions over and over again? Are you interested in shortening your sales cycle and/or reducing complaints or returns? If you answered, “Yes!” to even one of these questions, consider adding a FAQ page to your website. There’s no reason not to, and the benefits may surprise you!